Transporting a truck is no easy task. The majority of companies lack the know-hows to properly handle a car, let alone a truck transport. You need a truck shipping company that’s reliable, has the experience and has the equipment to get the job done. As a leader in the vehicle transport industry, Nationwide United can suit all intents and purposes of any truck transport. 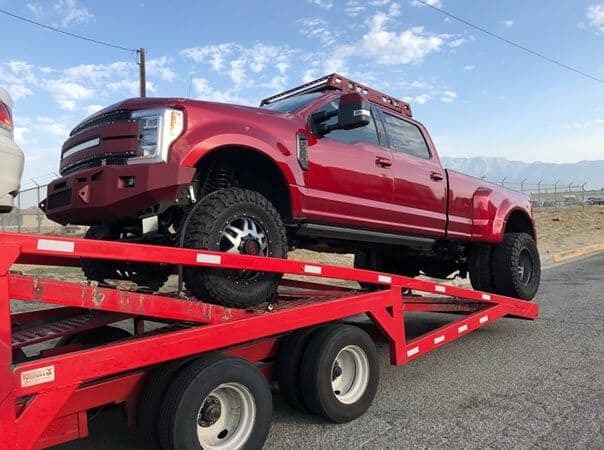 Regardless of whether you require truck shipping across town or cross-country, our equipment configurations can get your full-size truck, dually truck, heavy duty truck, utility truck, and any other commercial truck safely and efficiently to it’s destination. Truck Dimensions – Length, height, width and weight of the truck. Dimensions must be verified. Condition of Truck – Is the truck in operable condition? Please note shipping non-running vehicles are subject to additional fees. Attachments – Are there any attachments on the truck? E.g. roof rack/mount, boom lift, trailer, water barrel etc. Route – How far will truck be traveling? Where is truck picking up and delivering? Is the truck shipping to Hawaii? Schedule – Are we working with a schedule? How early or late can we pickup and deliver? 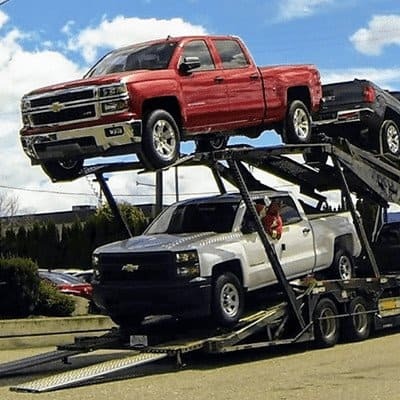 Pickup/Delivery Locations – Although our service is door to door we’ll need enough ample space at pickup and delivery to safely load and unload truck. Keep in mind our carriers are generally 80 feet in length. 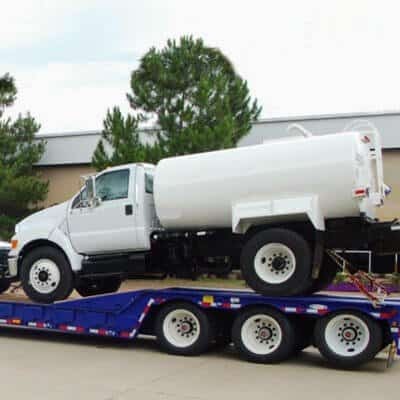 Please visit our oversize vehicle page for information on how we can handle large vehicles such as your truck and other heavy equipment.